How many parents use their basement? Some have decided that the basement will be the toy dungeon, where all the legos and matchbox cars can live behind a closed door away from adult feet stepping on them. 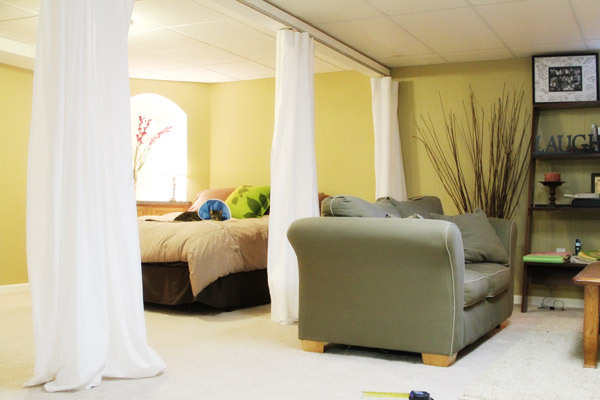 Other homes have turned the basement into adult space, a tranquil space away from the kids. No matter the use, HGTV tells us that finished basements add value to our homes. Curtain-Tracks is here to help you make this additional space feel like home without breaking the bank. Most basements, even if not fully finished, use a drop ceiling as a cost effective way to cover air ducts and pipes while still giving the homeowner easy access to all that makes a home function. The good news: this solution is budget friendly in many ways. The better news: this solution also allows for easy addition of Curtain-Tracks products. Our 6155 Clamp eliminates the need to drill holes in the ceiling grid, allowing for eventual changes in design without having to figure out how to patch holes. Our drop ceiling clamp allows for easy attachment to the metal parts of the drop ceiling. Our 6151 cartridge allows for the carriers and hooks to connect to the clamp. These cartridges should be placed every ten inches, so do the math before you order, and then do yourself a favor and order one or two more just in case your math skills are rusty. Pick up as much as 98 feet of continuous track with our 6100 Flexible Curtain Track and the rest is easy. You can decide to use the track in a straight line, but you can also curve it by hand to cover that ugly hot water tank, or strange pipe that juts out of the wall at an odd angle. Our products might be just the answer you are looking for, even if you are on the fence about completely finishing your basement. If you aren’t sure you will use the space, or you don’t have the budget to go all in, you can still give our products a try. Once attached to the drop ceiling, our curtains, carriers, and cartridges can hide even the ugliest cinder blocks or heating ducts. Our Eclipse Curtains are often featured in our blog posts, and for good reason. They are versatile! They not only block 98% of light (think basement movie theater?) but they also help keep the cold out, and create a cozy space even underground. They are energy efficient and also create a welcoming feeling. Even if your basement is already finished but perhaps it needs a slight makeover, Curtain-Tracks products can be used to create a more cozy feeling. 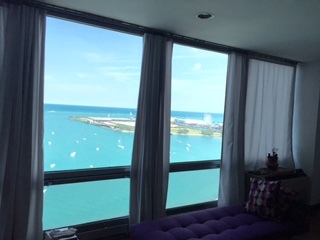 Our curtains can cover windows to create energy efficiency, or they can cover a whole wall. Or, as we've mentioned in previous blog posts, our curtains can create a moveable wall. No matter the stage of your basement, consider taking the next step to adding more useable and comfortable space to your home by working with Curtain-Tracks.com. Need Some Peace And Quiet? Look No Further Than Our Eclipse Curtains! If you follow the Curtain-Tracks blog, you have heard us mention our Eclipse curtains. These curtains are wonderful in so many ways and can be used in a variety of settings. Most often, we talk about how they are fantastic in bedrooms where they block 98% of light, and reduce sounds from outside. These curtains are so effective at what they do, they are used in hotel rooms all over the world, in truck cabs, RVs, boats and cargo ships. We are sure you have seen these amazing curtains in several places! These curtains aren’t just popular because they are functional. The Eclipse curtain fabric that we carry are simply the best of the best. They are machine-washable, flame-retardant, and available in over 25 colors so you are sure to find the curtains perfect for your space. They are also energy conserving, saving you money down the road. Eclipse curtains have nickel-plated brass grommets every six inches (or you can use snap tape) so they require a hook and a carrier like our two-wheel carrier with hook. Hanging these curtains from a ceiling mounted track like the 88001 Privacy Cubicle Curtain Track, will maximize the perks of these curtains (light blocking, sound absorbing, energy efficient, etc.) by creating a floor-to-ceiling virtual wall. Before ordering, decide how you want to have your curtains look when the project is completed. For placement, if mounting on the ceiling, first decide how far out from the wall you would like your track to be. If you love the look of full curtains, multiply the length of the track by 0.6 and add this to the original track length. This is your curtain width. If you want even more fullness in your curtains, double the length of the track for your curtain width. You then will need to measure from the track to where you want the curtain to fall. This measurement becomes your curtain length. Confused? No problem! Contact us and we can help. Create a sanctuary in your bedroom and get the sleep you deserve, and need, by adding Eclipse curtains. Not sure what color will work best? Contact our friendly customer service team and we will send you samples. Call us at 888-434-7444 so we can help you make it happen. With Amazon Prime memberships on the rise, that means more and more packages are being delivered daily. That also means more truck drivers are working long hours, and for that, we are thankful! The packages that magically arrive on our door step in two days is simply life changing! In addition to being thankful, we have some great products for these amazing truckers to create an oasis right in the cab of their truck. SHUT EYE IN THE MIDDLE OF THE DAY? Our Eclipse Light Blocking Curtains block 98% of light, which is really important for that mid-day nap at the truck stop. Worried about light sneaking through the corners? 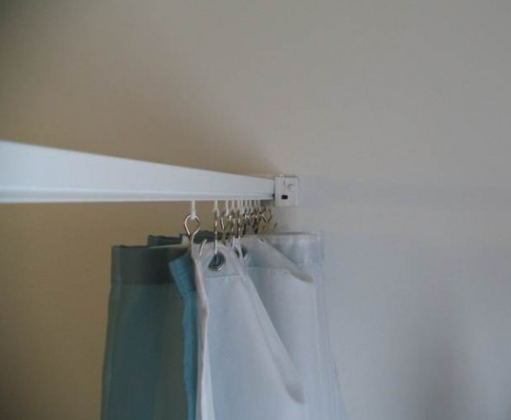 Our Bendable Curtain Track can bend to any shape to allow one piece of fabric to cover the window and the corner. Another tip is to order a bit more height or length and allowing the fabric to cover all the way to the roof, below the window, and wider than the edges to ensure total coverage. The Eclipse fabric comes in heights that increase by six inch increments and widths that increase by 18 inch increments. NEED YOUR CAB TO FEEL LIKE HOME? 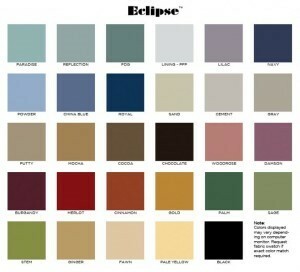 When you want the cab of your truck to feel just a bit more like home, our Eclipse fabric is available in 28 colors. Choose the color that makes you feel happy and relaxed and you automatically set the stage for coziness. After all those hours spent in a truck, you should like how it looks. And if you are unsure about the color and how it will match the existing upholstery, just contact us for a free sample. Our shortest track, CurtainMate, measures in at just three feet in length, so you don’t have to worry about cutting down a track that is too long for a small truck cab. It can be joined end to end for a custom fit. In addition, it’s made of plastic that can be bent when it’s warmed in hot water. It is one of our most popular products for vehicles because it is the most narrow. Why is this good, you ask? This track protrudes less than a half inch away from where it is mounted, which allows very little light through in comparison to its counterparts. Our wonderful customer service experts have great ideas when working with our beloved drivers. Rea more in this previous blog post, then, give us a call! 1-888-465-0274. There aren’t many parts of the country that maintain a comfortable temperature year round. We’re looking at you with jealous eyes, San Francisco! For the rest of us, we have four seasons with four very different temperatures. This change in weather can create some interesting challenges. The fluctuating temperatures can be a challenge for those of us who have an addition on our house or condo. The ever changing temps might keep you from using the four-seasons room in your home because it is too cold in the winter and too hot in the summer. And when you do decide to use that extra space, your furnace or air conditioning is constantly running because your thermostat is trying to compensate for the difference in temperature. We have a solution that can help. Adding our Eclipse Curtains will not only block light, they are also energy conserving so they also help when it comes to regulating the temperature in your four-seasons room. That means they help keep the cold air outside in the winter and the hot air outside in the summer. That also means a happy thermostat and a comfortable room temperature in a room that you can now enjoy. Eclipse Curtains are a great feature for any four-seasons room (as mentioned above) that typically has three walls full of windows, because these curtains not only help with maintaining comfortable temperatures, they also block 98% of the light. By blocking the light in a room full of windows, they can help save your furniture from fading thanks to the sun. When you are ready to start your project, consider a ceiling mounted Flexible Curtain Track. First, measure the perimeter of your space, then order the appropriate amount of track. Then, do a little math and divide that number by 10 because you will need these ceiling mounted cartridges every ten inches. Last, and the most fun, choose your favorite Eclipse Curtains. If you mount your most colorful and favorite curtains from floor to ceiling and wall to wall, you can drastically change the feeling of the room. When you are ready to move forward with your project, our customer service representatives are available to answer any questions and we even have installation guides that will make this project a breeze. We get excited just thinking about the possibilities of this project! Send us pictures if you give it a try in your own home. 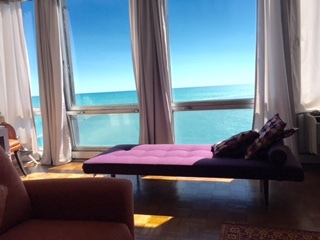 A Curtain-Tracks.com customer, Kristina V., recently ordered our Oxford curtains in Gull for her amazing wall of windows. After she received them and installed them, she emailed us and said, "The color is perfect, as is the length, and quality of fabric. They addressed my issue beautifully. I am definitely going to order other curtains." Thanks for the great review, Kristina! Hearing from our customers is music to our ears. We love that we offer products that can solve a problem, compliment a room, or serve a useful purpose and we think her finished project photos look great (and so is the view)! Our Oxford curtains are made of durable, top quality construction featuring a triple thick 1.5 inch header and Safe-T-Stitching locks in hems and seams. They are also machine washable. If you check out our website and just aren't quite sure what fabrics or colors to purchase, contact us and we will gladly send you samples (like we did with Kristina). We want you to find the perfect product for your project and are more than happy to send samples to help make the process easier. If Oxford curtains aren't for you, check out our complete list of available curtains. We're sure to have just what you are looking for whether it's for your living room, bathroom, boat, or RV. Once you order your curtains, don't forget your curtain track, carriers and end stops. After you have received your Curtain-Tracks products, you can refer to our handy installation guides found on our website or contact one of our friendly customer service team members should you need assistance. When your project is complete, send us your photos. You just might see them on a blog post or one our Facebook page. If you live in suburbia, there are plenty of detached Emergency Rooms, Urgent Care Centers, and health clinics inside grocery stores, allowing you to get a Physical, flu shot or even be treated for more serious illnesses. Most of the time, these health clinics don't have private rooms for every single patient so instead, they use curtain tracks and privacy curtains to divide the space into smaller rooms. Patients "rooms" aren't exactly a rectangular shape so hospital interior designers have to be a bit creative. Many health clinics use our 6100 flexible curtain track because it can be configured easily to fit just about any space. This track is smooth and comes in one piece, up to 164 feet for the standard weight. Our medium and heavy duty tracks are available in a length of 98 feet. The flexible curtain track has a metal spine making it not only flexible, but also strong. With this track, flexible curtain track carriers can be added. We always tell hospital interior designers that to ensure proper fit and function of the carriers, they should choose the same weight as the track. Once the carriers are in place, just add a hook to hang the curtains. 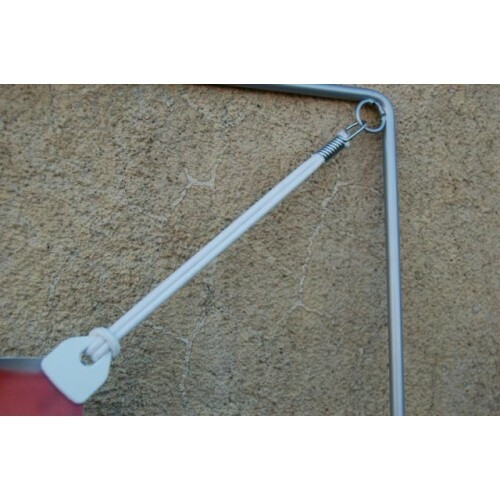 Our 7142 stainless steel hooks are perfect for hospital use because they won't stain or rust. Once the tracks and carriers are in place, privacy curtains can be added. Our privacy curtains come in a variety of colors, textures, and sizes, but our Sundance line is extremely popular for these settings. They are stain and odor resistant and they are antimicrobial and can be machine washed or dry cleaned. We understand that hospitals and health clinics want to create a calming feel in that environment so we have plenty of colors and styles to choose from to ensure there is a curtain to fit any style. You may ask, "Why do I care about curtain tracks when I am in the ER?" Great question! A clinic that takes time to consider the patient's privacy and create a space that is comforting, especially in a time of need, might be the kind of health clinic we would check out (but only if needed, of course). If you are responsible for your clinic, ER or Urgent Care Center's design or just need extra carriers for your already existing privacy curtains and curtain tracks, give us a call. Have you ever been to a concert at an indoor venue? Perhaps one that doubles as a sports arena as well as a place that hosts concerts and special events? If you have, you may have noticed that when the artists take the stage, the entryways leading to the concourse, concession stands and bathrooms, become dark. That's because the ushers close heavy curtains to keep the light from the concourse streaming in, which can be distracting and take away from the performance. The curtains, curtain tracks and the hardware that are used in these venues need to be tough - tough enough to withstand frequent opening and closing. These organizations often choose our Eclipse curtains which are light blocking and sound-absorbing (making it easier for the people at the concession stands to hear you when you order). This curtain is not only durable, it's also flame retardant and available in several different lengths. It also features a triple thick 1.5 inch header reinforced with a middle layer of nylon mesh. 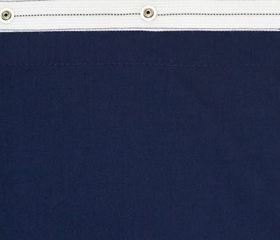 Hems and seams are locked in with Safe-T-Stitching making this a durable choice. Oftentimes, these curtains are paired with our 84004 Ball Bearing Carrier Curtain Track. This track is a strong aluminum architectural track that accommodates ball bearing carriers, and is available in 8-foot sections, but it can also be mounted end-to-end for wider applications. These curtains and tracks aren't just for big sports arenas. Many of our customers order these same products for their theatres. 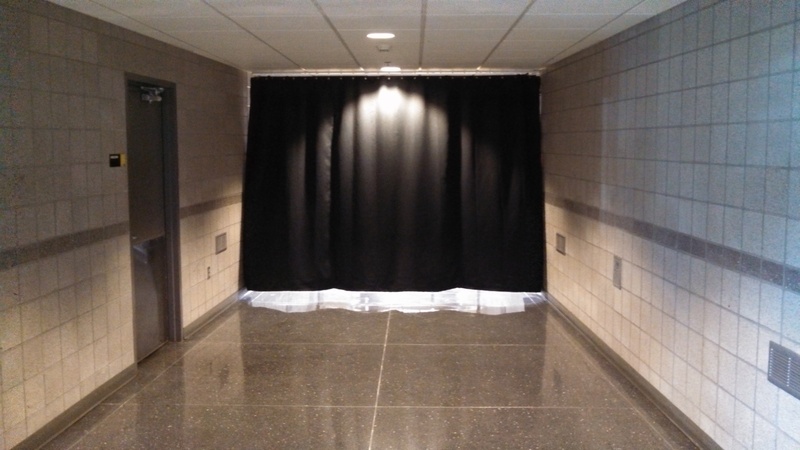 High School, community and college theatres, all benefit from eclipse curtains and sturdy curtain tracks. The high quality of all of our products and our excellent customer service, are what keeps our customers coming back. Whether you are planning on adding curtain tracks to an arena or to your home, Curtain-Track's products can be used for applications both big and small. Providing outstanding customer service is a top priority for our Team, so whether you need help in selecting the appropriate drapery hardware, guidance during installation, or advice on returning a product, we will do all we can to be sure our customers are completely satisfied. According to the Population Reference Bureau, there are more than 46 million adults ages 65 and older in the United States. It is estimated that this population will grow to over 98 million by 2060. With the increasing aging population, more adults are living at home longer rather than moving to a senior living community. By staying home longer, adjustments often have to be made around the home to make it safe for older adults. One common change is converting a bathtub to a shower allowing for a safer bathing experience. When this happens, we often have customers call us for curtain track solutions. These curbless showers need to be enclosed properly, not only for both water runoff, but also to maintain privacy. For this particular project, we recommend either the 6100 Flexible Curtain Track or the 88001 Privacy Cubicle Curtain track. The flexible curtain track is sold by the foot and priced per foot of track and allows long continuous lengths for curved or angled applications, but can also be used for straight applications. It can be bent by hand to accommodate the shower size and ensure the entire area is enclosed. The privacy cubicle curtain track is an aluminum track with a silver satin finish and can be installed directly into the ceiling, Available in 6 foot, 8 foot, 12 foot and 16 foot sections, it can be spliced together for longer applications. 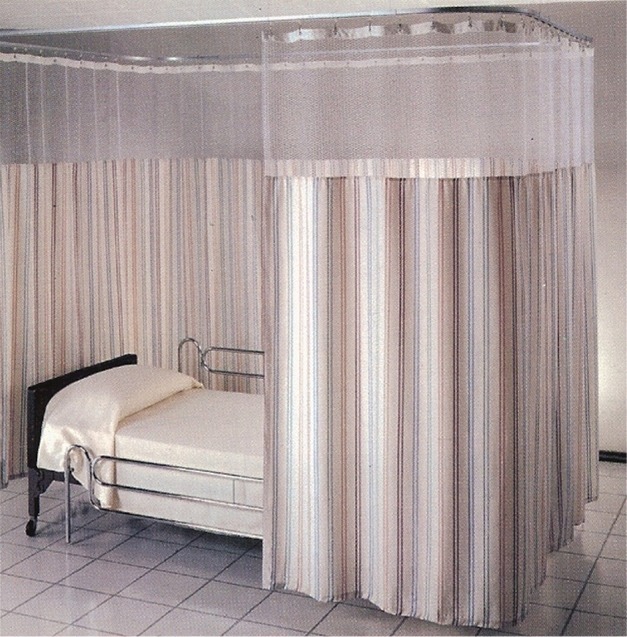 This track is commonly used in Hospitals and are often paired with our long nylon curtain panels. We also offer high-quality carriers that slide smoothly and easily through the track, making the curtains very easy to open and close. To allow for an even easier bathing experience, our master carriers and wands can make the opening and closing of the shower curtain simple, even if the adult is sitting on a shower chair. We even have wands with circular handles that meet the standards of the Americans with Disabilities Act (please call to order). If you are starting this home project, give us a call. We are here to help!